UKSEE 2017 Application Form: Uttarakhand State Entrance Examination was conducted by Uttarakhand Technical University. It is one of the state level entrance exam. The students who want get admission to the 1st year degree of BPharm/ BHMCT/ MCA/ MBA and also 2nd year (lateral entry) of BTech/ BPharm/ MCA/ MBA courses, are encouraged to apply for the UKSEE 2017. The UTU Application Form 2017 is now available in the official website. For further updates regarding UKSEE Application Form 2017, stay tuned with us. Courses Offered: B.Tech (lateral Entry), B. Pharma, B. Pharma (Lateral Entry), BHMCT, MCA, MCA (Lateral Entry), MBA, MBA (Lateral Entry) and etc. BPharm: Who Completed 10+2 with Physics & Chemistry as a compulsory subject along with Mathematics/ Biology/ Biotechnology/ Technical Vocational. BPharm (Lateral Entry): Passed 2 years Diploma in Allopathy after 10+2 or equivalent with 60% of aggregate marks. BTech (lateral Entry): Who completed BSc/ Diploma from an AICTE approved institution in appropriate branch of engineering/ technology with minimum of 45% aggregated marks (40% in case of reserved category). MCA: Must have passed Bachelor Degree in BSc/ BCA with Mathematics with minimum 60% of marks. MCA (Lateral Entry): The candidates who pursuing 2nd year of Master Degree with no arrears, can eligible to join in MCA lateral entry. BHMCT: Who should possess class 12th or equivalent with minimum of 50% Marks. There is no age limit to apply for UKSEE 2017. If suppose, did you have any queries regarding the Uttarakhand State Entrance Exam age restriction, then go through the official notification of UKSEE 2017. The people who are all want to get admission in Uttarakhand Technical University (UTU)/ affiliated college for various courses (BTech, BPharm, BHMCT, MCA, MBA), are advised to apply for UKSEE 2017. The online application form is available in our examlevel.com site. * with Rs. 125/- additional as handling charges. First logon the official web portal i.e. uktech.ac.in. Then find & visit the link of UKSEE 2017. Before going to apply, read the eligibility criteria. If you full fill the eligibility, then download the UKSEE Application Form 2017. 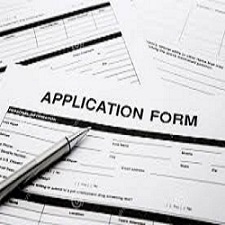 After downloaded, fill the application form with required details. Once you completed all the process, then send the filled UKSEE 2017 application form to the given address along with required documents. UKSEE 2017 Papers: The exam will be organized for 9 papers with multiple choice questions (MCQ). Examination Language: The UKSEE question paper will be asked in English/ Hindi language. Marking Scheme: For every correct response, 1 marks will be awarded and there is NO Negative marks for wrong response.